Seattle is a city known (deservedly or not) for its hipsters. 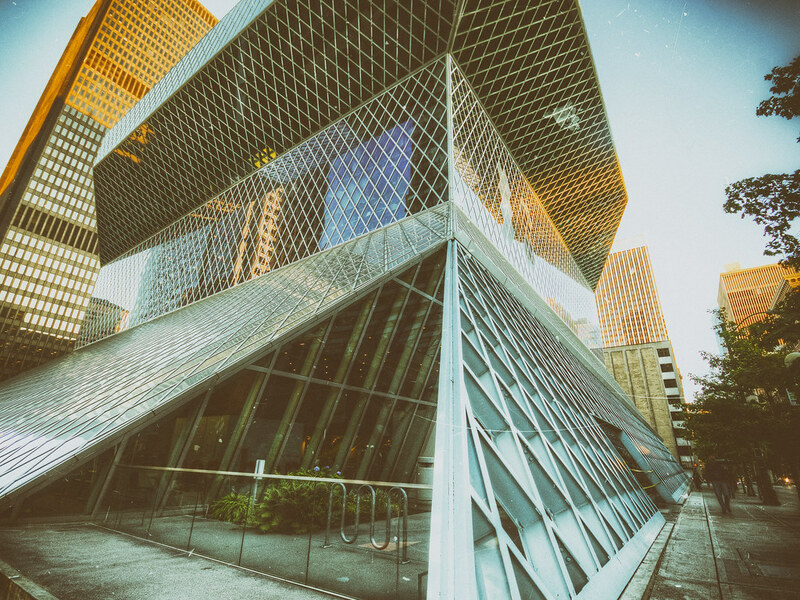 This is Central Library of the Seattle Public Library system, and could thus earn the title based on location alone. The building was designed by Rem Koolhaas and Joshua Prince-Ramus in part a celebration of printed books: “Despite the arrival of the 21st century and the ‘digital age,’ people still respond to books printed on paper.” The appreciation for classic technology could be accused of being hip. I found the gold and cyan colors of the early-morning shot reminded me of archecture more vintage (i.e. 1970’s) than morning, and went “full Instagram” in processing it. Perhaps I’m the hipster?